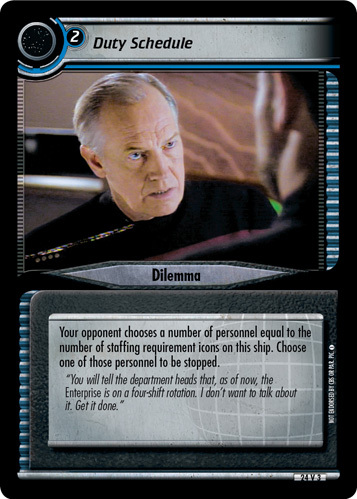 Unless you have Navigation, Security, Transporters, and Strength>30 or 2 Physics, Treachery, and Cunning>30, all your personnel are stopped and this dilemma is placed on your ship. 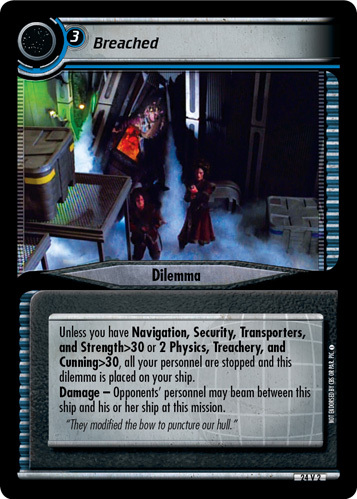 Damage - Opponents' personnel may beam between this ship and his or her ship at this mission. 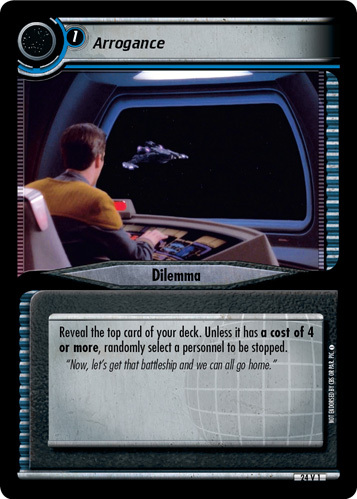 "They modified the bow to puncture our hull."